The facts surrounding the charges are disconcerting, and also somewhat bizarre. 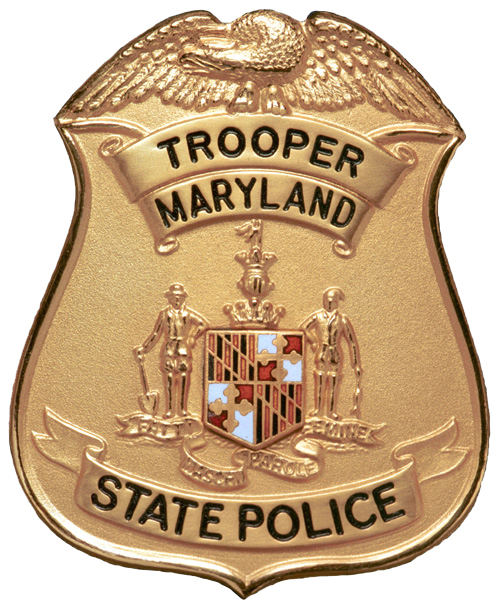 Back in December, while off duty and in street clothes, the trooper was walking through a parking lot when a 31 year-old Glen Burnie man allegedly flicked a cigarette at him. An argument ensued and the man fled, but not before the off duty trooper recorded his license plate. The trooper then initiated a host of charges against the man, which included assault, disorderly conduct, disturbing the peace, and failure to obey a law enforcement officer. Rather than requesting a summons for the man to appear in court, the trooper sought a warrant. The court commissioner approved, and the trooper himself arrested the man at his house. On a side note this was a complete failure by state police supervisors to let the trooper return and personally arrest a man with whom he recently had an altercation. And at his home no less. This was extremely juvenile and lacked professionalism that the state police department prides itself upon. Quite predictably the MSP’s poor judgment resulted in flaring tempers upon the trooper booking the man into jail. Witnesses reported that while at the Glen Burnie police barrack the trooper pushed the handcuffed man into a bathroom door, and punched him multiple times in the body. An internal investigation was conducted regarding the one sided altercation, and the case was then referred to the Anne Arundel County State’s Attorney’s office for a decision on charges. The office not only filed charges against trooper, but they also nolle prossed the man’s original charges back in March. Clearly they didn’t think the trooper would be a viable witness in the cigarette-flicking incident, and the state police surely didn’t want the additional negative attention. But the negative attention from this incident is bound to show up at some point, although there is no court date currently set in the matter. There should be a date set within the next few weeks at the Annapolis District Court, but the case could be transferred to circuit court if the defendant desires a jury trial. The Blog will follow this case over the next few months and may post a follow up article if necessary. Regardless of the outcome, it’s safe to say this shamed trooper won’t be seen patrolling our highways again in the near future. Benjamin Herbst is a Maryland criminal defense lawyer who specializes in assault and domestic violence cases. Contact Benjamin for a free consultation 24 hours a day at 410-207-2598. State trooper, who aided O’s fan, charged with punching arrestee, baltimoresun.com.